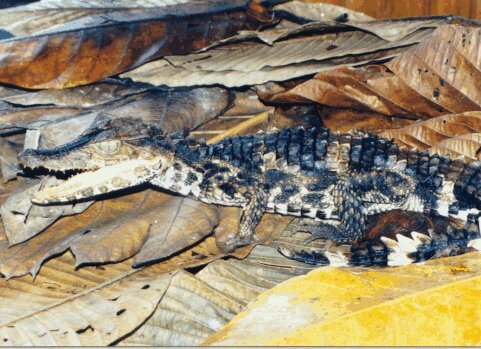 Native Range: Paleosuchus trigonatus is found in a region of the Amazon Basin including parts of Bolivia, Brazil, Colombia, Ecuador, French Guiana, Guyana, Peru, Suriname, and Venezuela (Magnusson and Campos, 2010). Table 1. States with nonindigenous occurrences, the earliest and latest observations in each state, and the tally and names of HUCs with observations†. Names and dates are hyperlinked to their relevant specimen records. The list of references for all nonindigenous occurrences of Paleosuchus trigonatus are found here. Means of Introduction: Pet escape. Krysko, K.L., J.P. Burgess, M.R. Rochford, C.R. Gillette, D. Cueva, K.M. Enge, L.A. Somma, J.L. Stabile, D.C. Smith, J.A. Wasilewski, G.N. Kieckhefer, III, M.C. Granatosky, and S.V. Nielsen. 2011. Verified non-indigenous amphibians and reptiles in Florida from 1863 through 2010: Outlining the invasion process and identifying invasion pathways and stages. Zootaxa 3028:1-64. Magnusson, W.E., and Z. Campos. 2010. Schneider's Smooth-fronted Caiman Paleosuchus trigonatus. Pp 43-45 in Crocodiles. Status Survey and Conservation Action Plan. Third Ediction, S.C. Manolis, and C. Stevenson (eds.). Crocodile Specialist Group: Darwin.